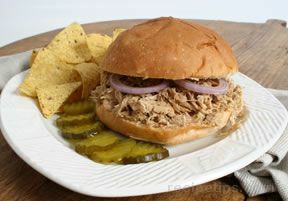 A vinegar and mustard Carolina-style barbecue sauce moistens shredded grilled chicken for sliders. Serve with Easy Summertime Pickles for piquant crunch. 1. Mix ketchup, vinegar, onion, sugar and Marinade Mix in medium saucepan until well blended. Bring to boil. Reduce heat to low; simmer 10 minutes or until onion is tender. Set aside. Brush chicken lightly with oil. 2. 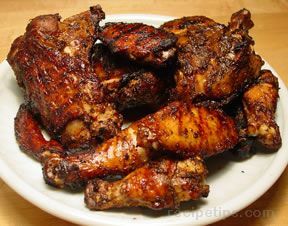 Grill chicken over medium heat 6 to 8 minutes per side or until cooked through, turning occasionally. 3. Shred chicken using 2 forks. Add to saucepan; toss to coat well. Spoon shredded chicken mixture on rolls. 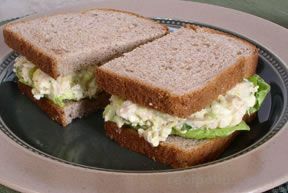 Serve with Easy Summertime Pickles, if desired.Easy Summertime Pickles: Place 2 cups thinly sliced cucumbers and 1/2 cup thinly sliced sweet onion in medium glass bowl. Set aside. Mix 1 cup cider vinegar, 1/2 cup sugar, and 1 teaspoon each McCormickÂ® Celery Seed, McCormickÂ® Mustard Seed and non-iodized salt in medium saucepan. Bring to boil on medium-high heat, stirring to dissolve sugar and salt. Reduce heat to low; simmer 5 minutes. Pour hot liquid and spices over cucumbers and onions. Cool slightly. Cover. Refrigerate at least 2 hours before serving. Store in tightly covered container in refrigerator up to 2 months. Makes 2 1/2 cups.